The figures are in, and aviation peak season 2017 was a record-breaker on many levels. However, this industry surge is putting the squeeze on airlines looking to hire the aviation staff needed to maximise their competitiveness throughout peak season. What’s predicted for aviation peak season 2018? The 2017 figures are key to predicting the direction of travel for 2018. This year, London Gatwick had the most successful peak season in its history, welcoming 8.1 million passengers over the seven-week summer holiday period alone. This represents a 2.1% increase on 2016. August 2017 was the second busiest month ever for Heathrow Airport, which saw 7.6 million passengers (2% more than 2016) cross through its gates. Smaller airports witnessed the most rapid growth. Cornwall Airport Newquay processed 30% more passengers than August of last year, with a record monthly high of 61,000. The Middle East and domestic locations were the destinations that witnessed the most rapid growth, representing a 7% and 6% increase respectively. With YOY growth bedding in across the sector and the IATA predicting passenger demand will double to 7.2 billion by 2035, continued aviation growth in 2018 is a pretty safe bet. How can airlines prepare for aviation peak season? Without some advance preparation, you’ll find it exceptionally difficult to hire aviation staff once peak season is in full swing. Develop your candidate pool throughout the year, and commence hiring well in advance of peak season starts to ensure you get high-calibre employees in the volume needed. 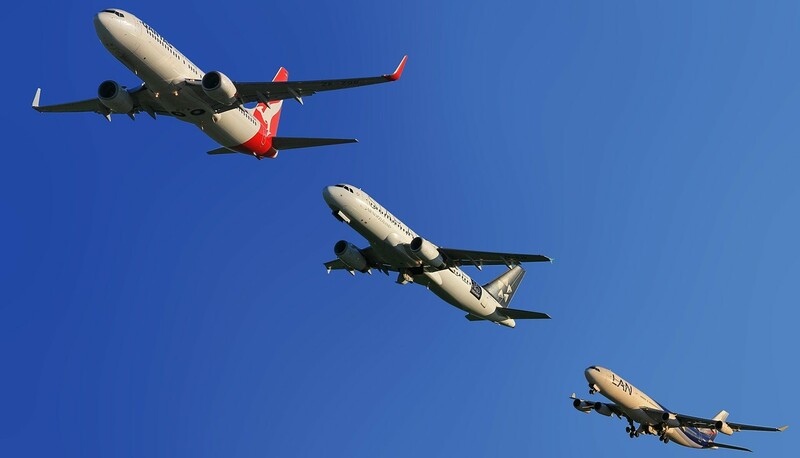 Increasing demand for aviation staff means you’ll need to work harder to position yourself among the most desirable airlines to work for, to attract the best candidates. This means developing an employer brand that prioritises candidate experience and reflects the desires and expectations of the demographics you’re attempting to recruit. Replacing lost staff and scouring the aviation job market for new seasonal candidates each year will put a strain on your recruitment resources. Optimise retention by offering professional training and opportunities for career development. Maintain a list of the seasonal staff used last year and incentivise the top performers to return again in 2018. High demand increases the likelihood that some of the seasonal staff you hire will choose to work elsewhere by the time peak season gets underway. As such, it’s worth building contingency into your recruitment strategy by aiming to hire more staff than you need. Recruiting for peak season can be something of a minefield, with numerous factors having the potential to cause headaches, if not stretch your resources to breaking point. AeroProfessional has a team of aviation recruitment experts ready to help you scale up your recruitment processes and secure the high-quality staff you need. Preparing for peak season is a must. Use these simple tips and you can’t go far wrong. Contact the expert AeroProfessional team to reinforce your recruitment strategy and prepare for next year’s aviation peak season.